The 20x21EUG Mural Project is an initiative of the City of Eugene Cultural Service’s Public Art Program to create 20 or more world-class outdoor murals in Eugene between now and the 2021 IAAF World Championships. This is the first time the World Championships will be held in the United States. 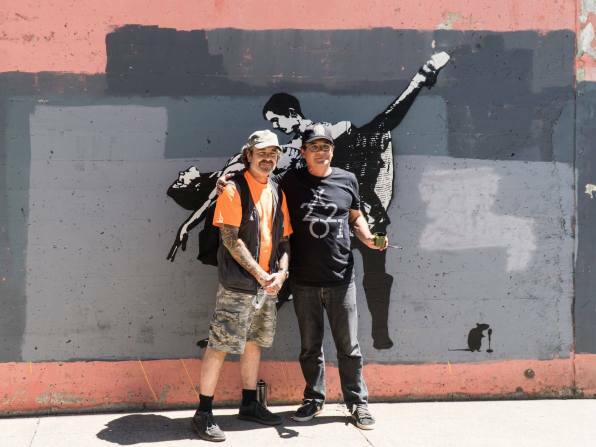 The concept of a large scale public art project such as 20x21EUG came from Isaac Marquez, Public Art Manager for the City of Eugene in 2016 and has continued into 2017 with Chinese street artist Hua Tunan and now invited the Godfather of Stencil Art, Blek le Rat.